I am a research scientist at CNRS working on computational and physical aspects of contact and friction at macro- and microscopic scales. I carry out theoretical research using boundary and finite element methods. In general, I am interested in many physical phenomena from the atomistic description up to a large scale structure of the Universe. I teach at Ecole des Mines de Paris (contact mechanics, computational contact mechanics, continuum mechanics and multi-physical aspects of mechanics of material). VI International Conference on Computational Contact Mechanics, Hannover, Germany, 3-5 July 2019, keynote lecture. 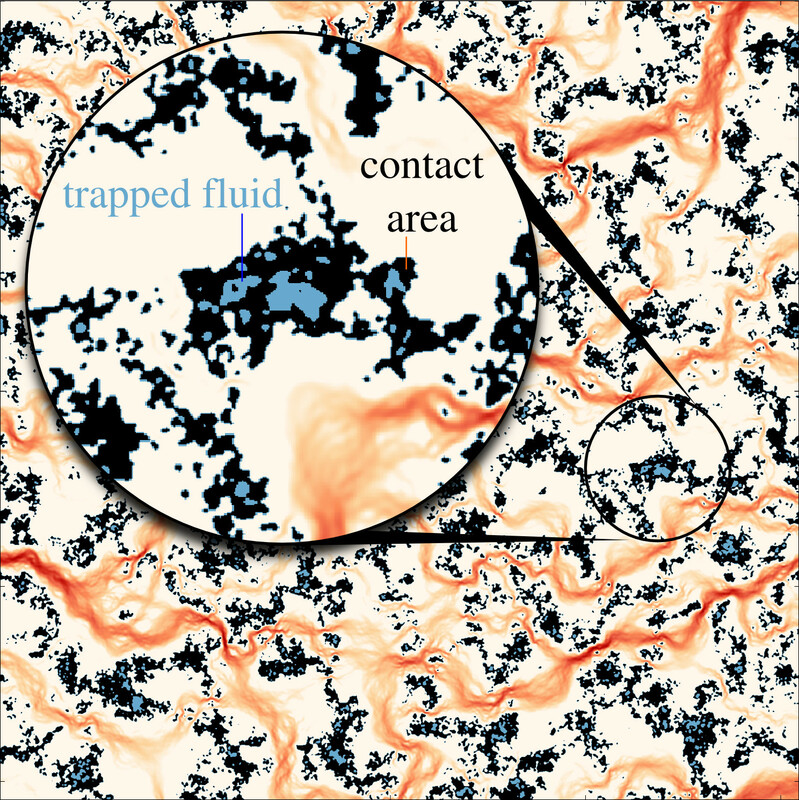 Boundary + finite element simulation of the fluid flow in the contact interface at the roughness scale; contact area and trapped fluid zones are shown.